Mathews, Inc. is a well-respected brand in the bowhunting world. In fact, it is the largest grossing bow manufacturer, producing 750 bows per day. The company’s owner has a lifelong passion for the sport, and the Sparta, Wis., company is continually innovating in order to make its products lighter, faster, quieter and more accurate. A recent redesign of the company’s main bow changed the way the limbs on the bow are attached, using a more complicated cup system. Mathews needed to ramp up part production to be able to accommodate this design change. Its existing horizontal machining centers were not reliable enough to handle the job, and Mathews did not want to outsource. It needed to increase productivity. A friend of Mathews recommended looking at Makino machines. 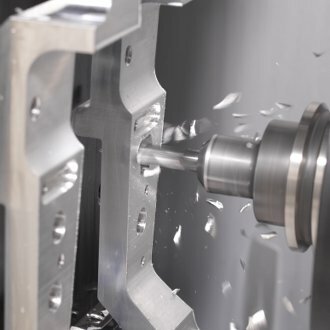 After seeing the equipment in action at another company and working with the local Makino representative on some test data, Mathews decided to purchase a Makino a51nx horizontal machining center to test it out and to help it meet its part production demands. After seeing success with the first Makino horizontal machining center, Mathews purchased a second a51nx for its shop floor.